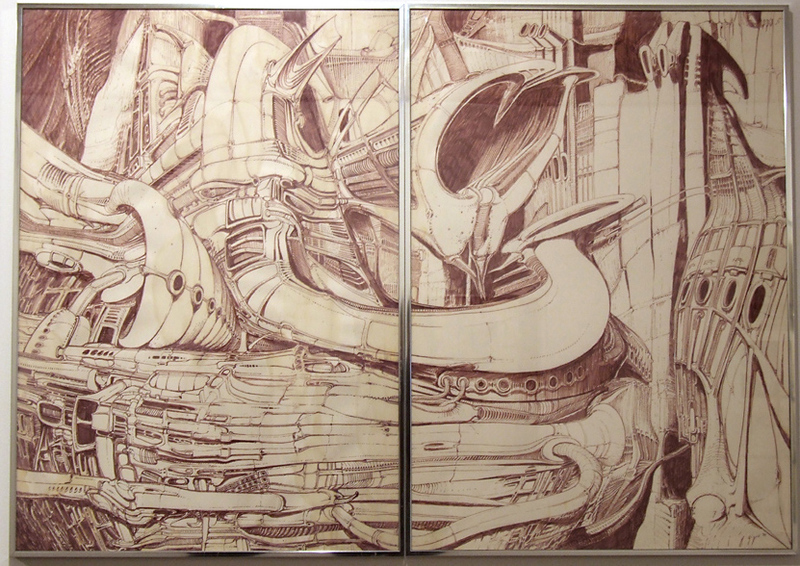 Alien Explorations: Felt Pen Drawing (work 147) by Giger references Cuban doomsday weapon from "Our Man In Havana"? Cuban doomsday weapon from "Our Man In Havana"? In the 1959 , a slightly comedic movie "Our Man In Havana" starring Alec Guiness, based on a 1985 novel by Graham Greene. The lead character a vacuum cleaner salesman finds himself working for the British Secret Service but decides to make his reports "exciting" and sends to London sketches of vacuum cleaner parts, telling them that those are sketches of a secret military installation or a weapon in the mountains.